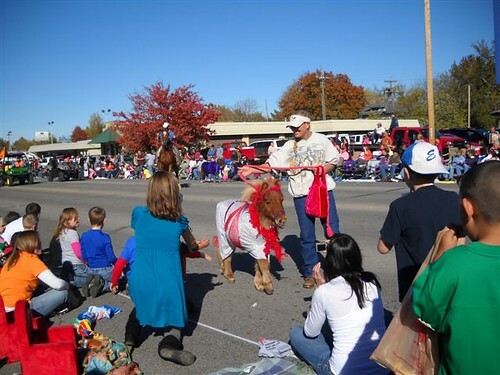 Our Veterans Day parade in Wichita is on www.kake.com at 9 a.m. – 12 noon and 3 p.m. You can watch it in full screen by clicking on the tiny screens by the volume control. Saturday and Sunday, 14th and 15th, is the militaria show at the Cessna Activity Center. If any member would like to display their vehicle inside the building please let me know by Wednesday. You would need to get it in Friday afternoon before 2 pm and not get it until Sunday around 4 pm. It would have to fit through the double doors, ie; motorcycle or jeep. If you want to display outside on Saturday, come anytime. That is all! 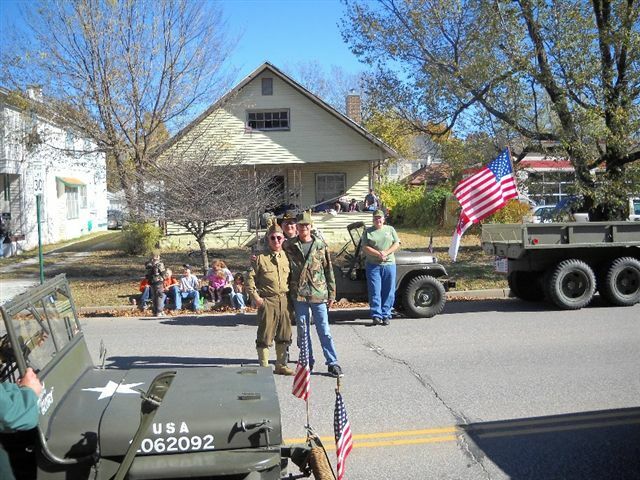 Here are some pictures of the Veterans Day parade today. You couldn’t have asked for weather nicer than today. 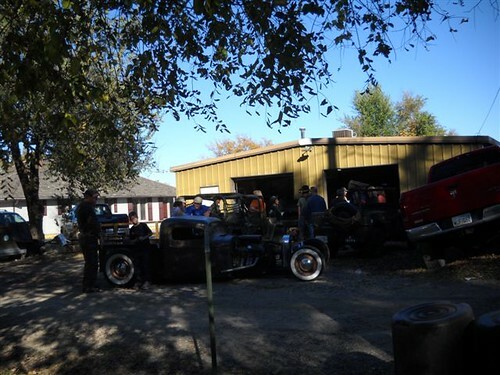 Everyone met at the Cross’ to unload and have coffee and donuts, brought by the Decker’s. We had 14 members present and 8 vehicles plus the bomb grill. Afterwards we displayed our vehicles in the middle of Douglas in front of Century II where they had singing and messages from the Mayor and others. Diane Warren noticed they didn’t have the flags at half staff, so she told an official and they told the mayor. By golly, the flags were changed. Good show! 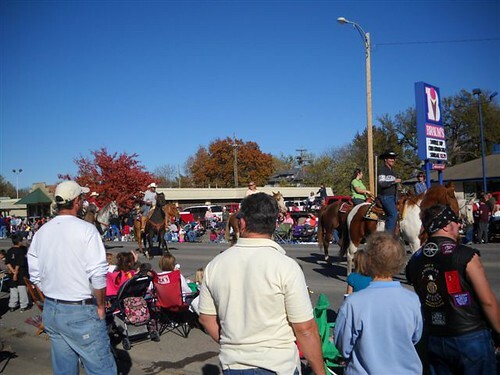 What a beautiful day for a parade. 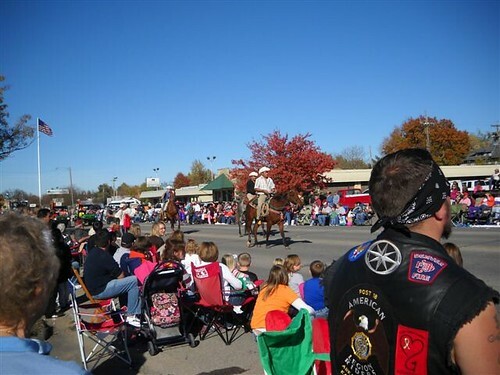 We had six vehicles and 12 people in the Arkalalah parade in Arkansas City. Our members were Dave Billings, Crosses, Deckers, Joe Rankin, and Jim Lynne. The parade was about 2 to 3 hours long and Linda and Dave Billings, family and friends provided BBQ ribs and brisket, along with drinks and chips. What great hosts. Thanks everyone!